Dance music comes in a variety of styles, sounds, and frequencies. The eclectic mix of sub-genres makes it unlike any other genre in music today and allows producers across the board to display their own personal brand. 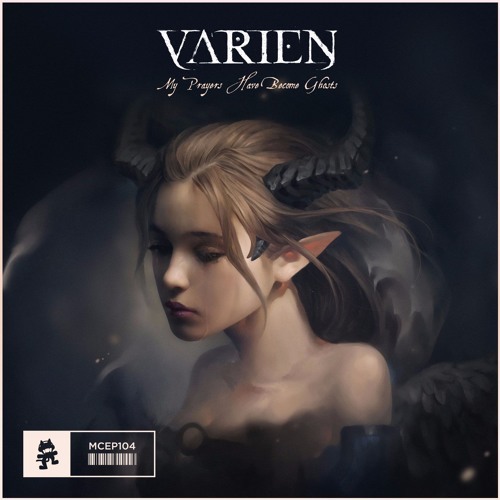 Varien is an up and coming producer that just released his My Prayers Have Become Ghosts EP and it is possibly one of the best self-branded statements we’ve heard in a while. The “King of Ravens” or self-proclaimed real life Final Fantasy Character has found a good niche of dance music and does a great job demonstrating it on this EP. The mixes are a bit creepy and seem fitting for a dark underground rave in an epic dungeon of a castle. Trust me when I say that some of the tunes on this EP will lure you in without you even realizing it. The EP was released on Monstercat, known for their wide-range of artist styles and this one is definitely worth checking out. Check out the stream or support the tracks on iTunes, but you’ve been warned, this could leave you looking over your shoulder. Minneapolis. Lovable Weirdo. Be Happy.